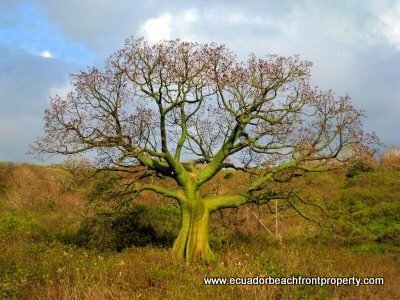 Ceibo trees (pronounced “SAY-bo”) are a striking feature of the coastal Ecuadorian landscape. 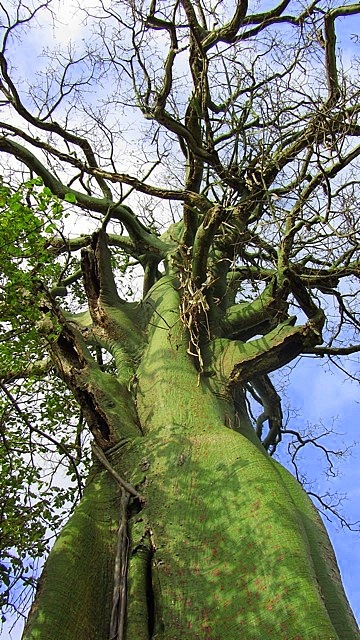 Straight from a Tim Burton film or a page out of Dr. Seuss, these large trees feature bright green bulbous trunks, prominent buttresses and a disarray of heavy limbs extending in all directions. 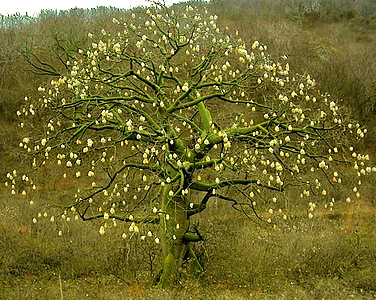 Ecuadorian ceibos (Ceiba trichistandra) are one of 10 species of tropical and neotropical trees classified as ceibas or kapoks. 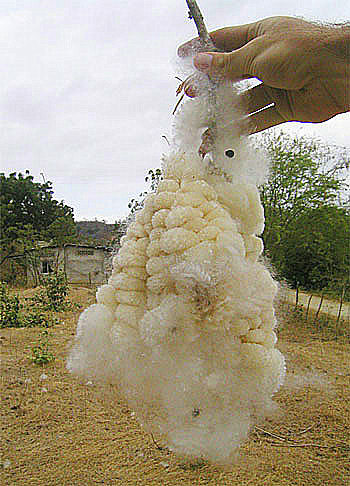 Kapok is the universal name given to the silky fluff produced by the ceibo fruits. Historically, the super soft kapok fibers were collected and used to fill pillows, mattresses, stuffed dolls, etc. In addition, the waxy coating found on the fibers make the fluff resistant to water and highly buoyant; thus, kapok was used worldwide until the mid 1900s in life preservers, life vests and seat cushions. Today, there are still a couple of small communities in Manabi that collect the cotton to make pillows and mattresses for sale. 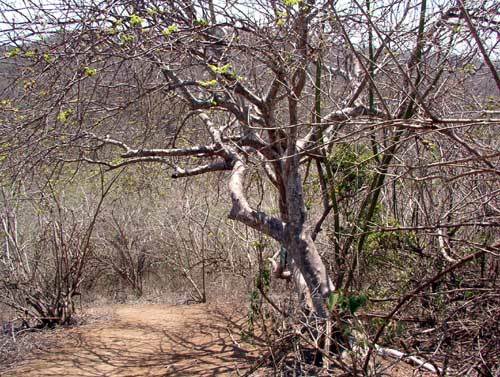 Here in the dry coastal forests, ceibos spend much of the year without any leaves, a condition called drought-deciduousness. They have adapted to this stress in a colorful way by photosynthesizing through its trunk (hence the trunk’s bright green pigments). 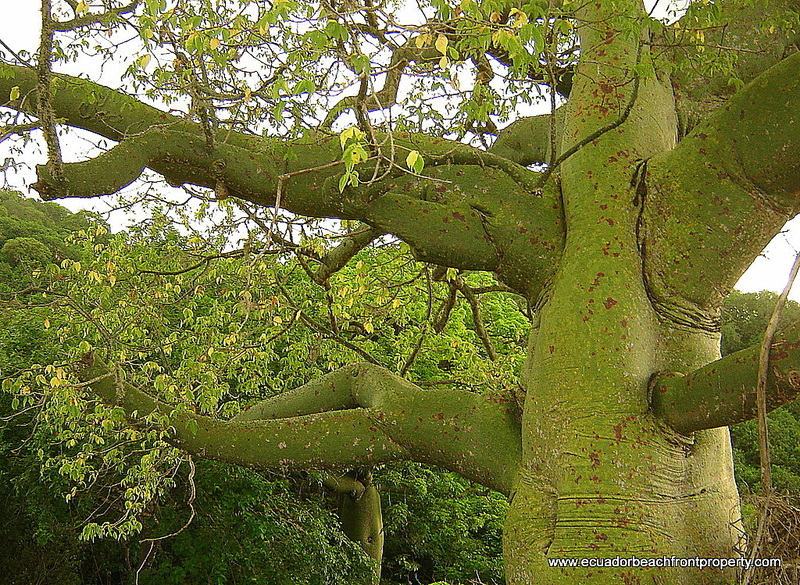 The wood of the ceibo is soft, light and brittle and therefore not useful for construction, making furniture, etc. Tom and I often mused that ceibos would make an awesome tree house for when we had kids until one day we got up close to one and were surprised to find that its trunk was covered in large, intimidating spikes. 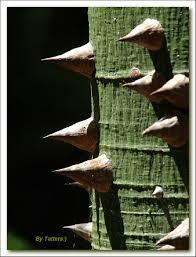 This adaptation serves to protect the soft wood of young trees; as ceibos age and become less vulnerable to threats of being eaten or toppled, their bark tends to lose its thorns. Owing to their undeniable charisma, many artists are inspired to feature ceibos in their artwork. 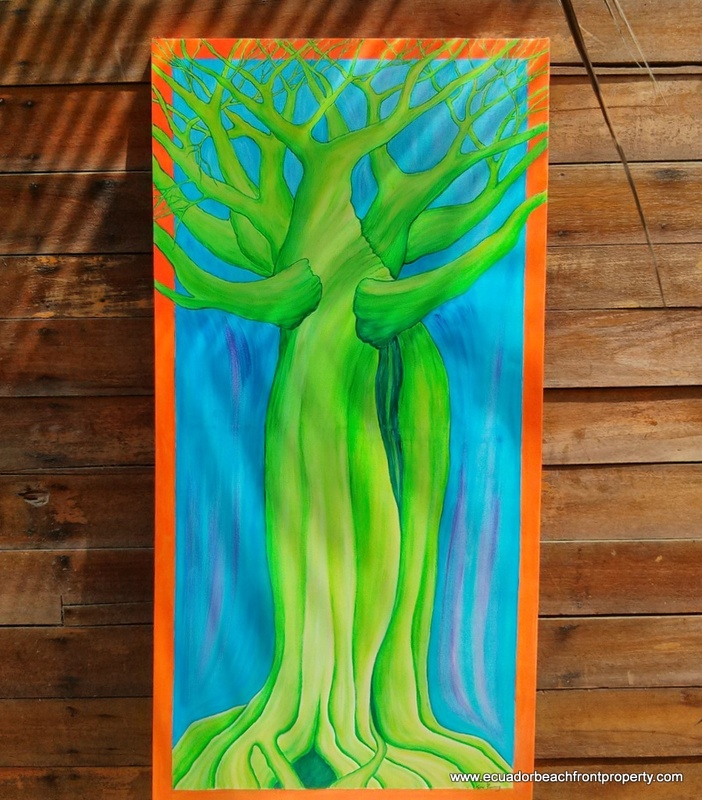 Below is a custom ceibo painting created for us by our artist friend Kerri who beautifully captured the vivid, whimsical nature of these magnificent trees. Unlike ceibos, palosanto trees are all about subtlety. Their drab appearance makes them nearly impossible to distinguish from many of the other scraggly trees and bushes found in the dry coastal forests; however, what unmistakably sets them apart is their soothing, sweet, musky scent. One of my favorite olfactory pleasures is the aroma of palosanto wafting out of the hillsides after a light rain. In the same family as myrrh and frankincense, palo santo (Bursera graveolens) literally means “holy wood” and has been used by shamans since pre-Incan times for clearing negative energies and healing. Today, locals frequently burn dry sticks of palo santo to produce a rich, aromatic smoke to keep mosquitoes away. The sticks are also used to produce a tea to help cure symptoms related to the flu and asthma. Use of essential oils of palo santo is becoming increasingly popular worldwide and is said to contain many healing properties to treat a plethora of maladies including arthritis, allergies, inflammation, cold and flu symptoms, depression, and anxiety to name a few. The oils are used directly on the skin in key areas (wrist, temples, soles of feet, etc. 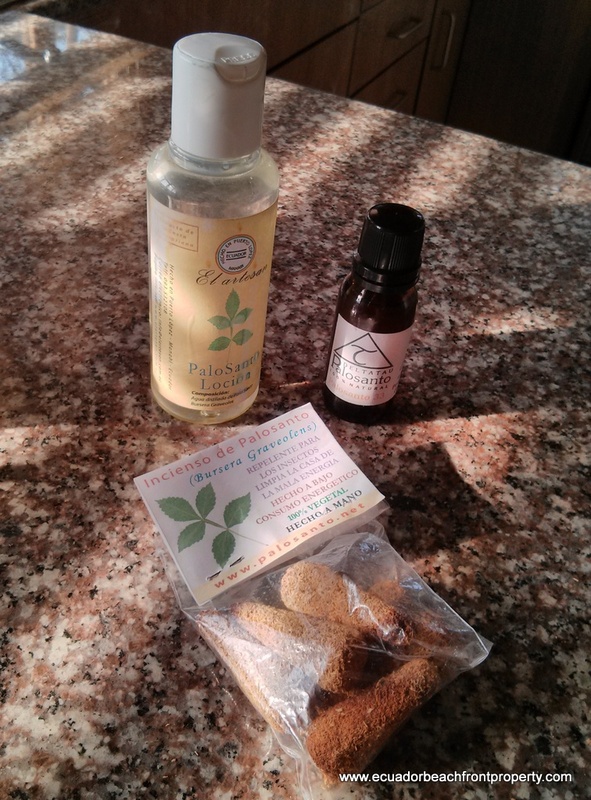 ), can be diluted with other oils such as almond to produce massage oils or spritzers, and used in aromatic diffusers. 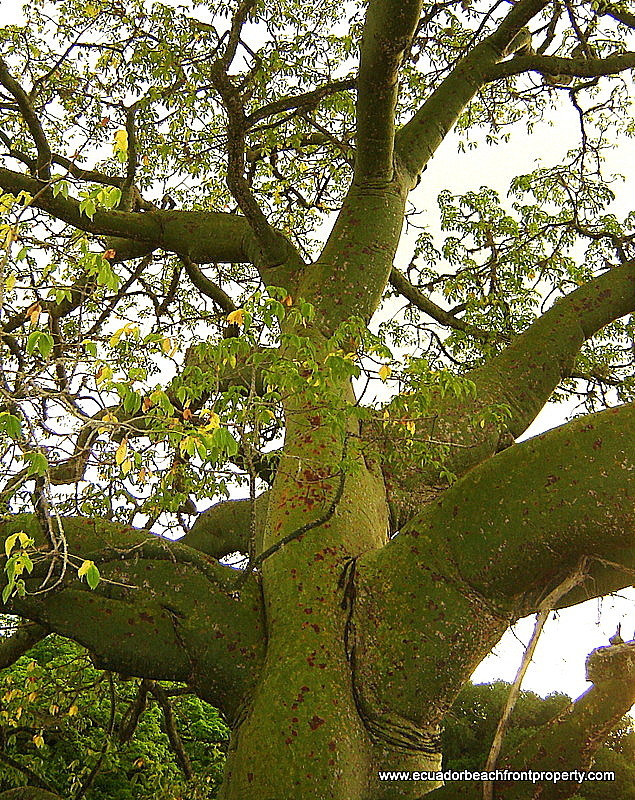 Palo santo trees themselves are relatively short-lived, approximately 40 years. The oils are extracted only from fallen, dead trees so it is important to buy products from sources who collect only naturally-fallen trees and who are involved in replanting efforts. 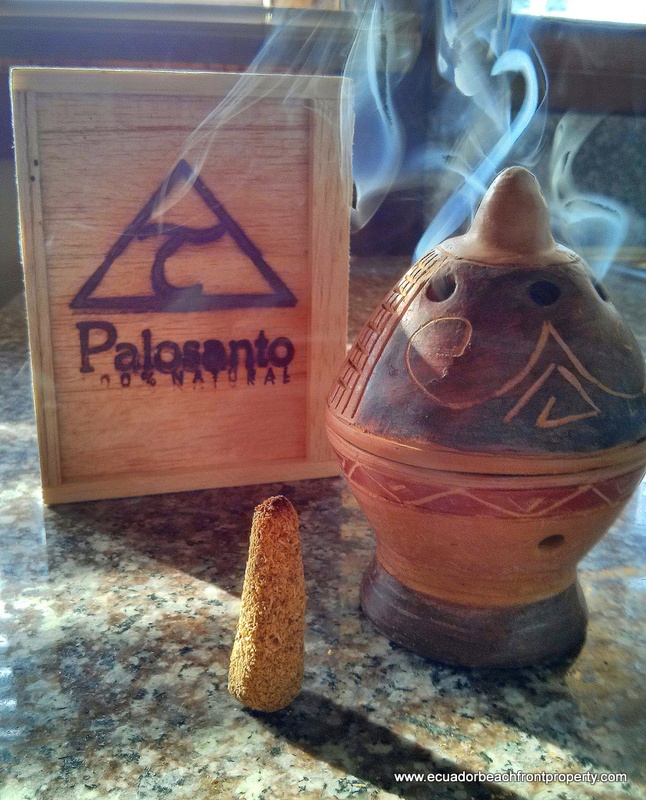 Deltatau Palosanto in Puerto Lopez is one of those sources (we don’t have any affiliation with them–we just like their products). Ceibos and palo santo trees represent just two of the incredible and diverse plant species found in this region. There are countless ideas for business niches left to be filled to promote greater education and appreciation of the dry coastal forest ecosystem. Examples might include leading hiking, mountain biking and birdwatching tours, the manufacture and sale of products directly using kapok fibers, or even photo-based souvenir products such as ceibo post cards and calendars, neither of which can be found here, at least to my knowledge. Like so many things in Ecuador, the possibilities are endless. This entry was posted in Arts and Crafts, Flora and Fauna, getting to know ecuador, Health, Tom Saunders and tagged Bursera graveolens, business ideas, ceiba, Ceiba trichistandra, ceibo art, ceibo tree, dry coastal forest, essential oils, incense cones, kapok, Lynn Saunders, Manabi, mosquito repellent, palo santo, palosanto, Puerto Lopez, San Clemente, Tom Saunders by Tom Saunders. Bookmark the permalink.